It’s no wonder the locals refer to Utah Valley as "Happy Valley." Tucked against the towering Wasatch Range, Utah Valley is just minutes from some of the best hiking spots in North America including Provo Canyon, Rock Canyon, and several soaring Wasatch Peaks. There’s no shortage of incredible hikes (and a variety of distances and difficulty levels) in the area, but a few stand out above the rest. Check out these day hikes to see the best of Utah Valley. 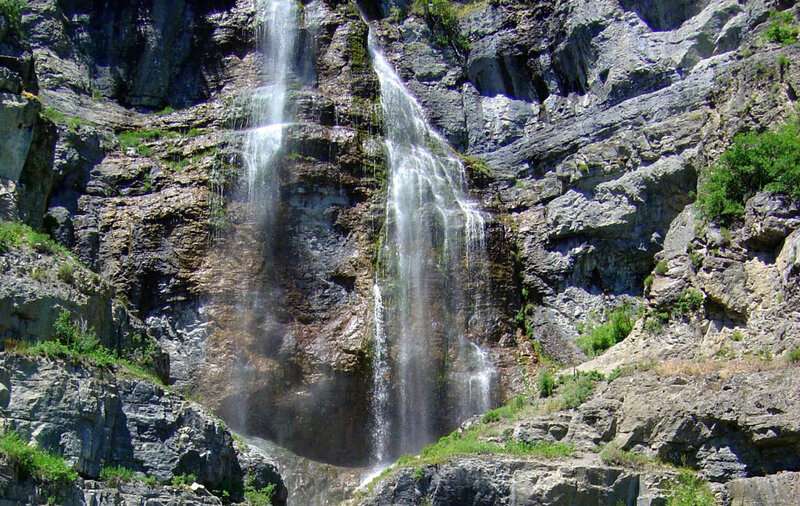 The easy hike to two-tiered, 200-foot-tall Stewart Falls, on the east side of Mount Timpanogos and accessible via Provo Canyon, is not to be missed. The well-marked trail heads first through lush coniferous forest, then into the trailhead’s namesake aspen grove. It’s gradual uphill for the first mile, and then downhill again to the base of the falls. The trail is accessible during the snow-free months, so make plans to visit between May and November. (Fall is an especially good time to visit, thanks to the canyon’s gorgeous foliage.) If you park at Aspen Grove, you’ll pay the $6 parking fee at a toll booth on the Alpine Scenic Loop. There’s also access to the hike from Sundance Mountain Resort. 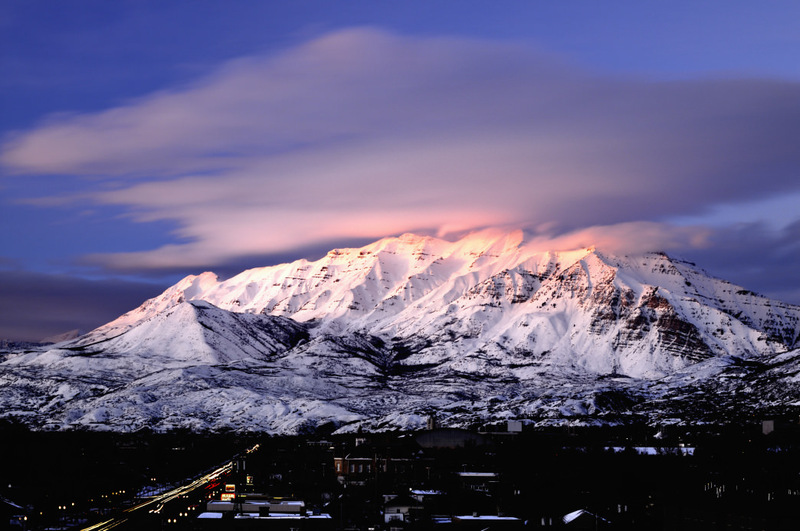 At 11,752 feet, Mount Timpanogos is the second-highest peak in the Wasatch Range, but if you’re in the Utah Valley, it’s definitely the tallest thing around. Timpanogos ("Timp," as the locals sometimes affectionately call it) looms more than 5,000 feet above the surrounding landscape, so it should come as no surprise that to hike it is a serious undertaking. 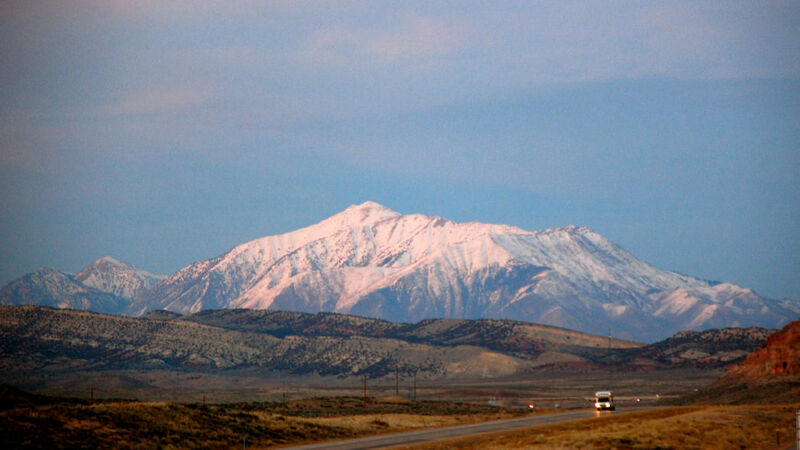 People climb this peak year-round, though winter climbing requires some mountaineering skills. During the snow-free months, the Timpooneke Trail provides the easiest route to the summit. It takes hikers through three distinct ecosystems, not to mention waterfalls, rugged ridgelines, beautiful Emerald Lake, and a chance to see mountain goats. This classic hike is a local favorite. Apparently named for its resemblance to the meadow in The Sound of Music—you know, the one where Julie Andrews proclaims that the "hills are alive"—this short, relatively easy hike is great for families. Follow the Timpooneke-Chris’ Flat Trail No. 151 through pine forest and across grassy, wildflower-carpeted hillsides. Once you arrive at the meadow, check out the incredible views of the Little Cottonwood Ridgeline (the best imitation of the movie scene), Heber Valley, and Utah Valley. Park at the Timpooneke Trailhead in American Fork Canyon, where you’ll pay the $6 parking fee (an annual National Parks Pass will also do the trick). 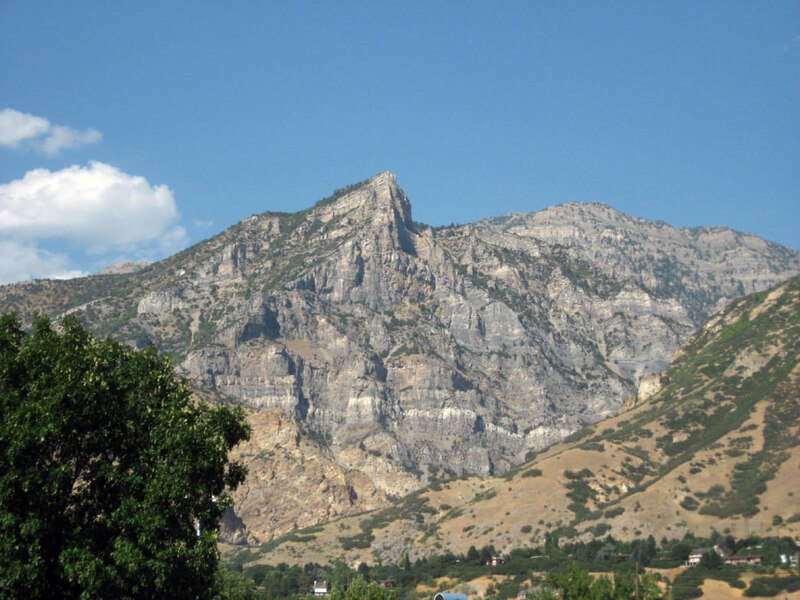 Nestled in the Wasatch Front just a few miles from Provo, Rock Canyon is a popular destination for rock climbers and hikers, and Squaw Peak is among its most imposing and alluring features. The strenuous trail gains more than 2,800 feet in 3.5 miles on its way from the trailhead to the Squaw Peak summit. Despite the occasional steep grades, it’s doable in a day. The parking lot off Temple View Drive fits about 40 cars, and there’s no fee to park. Follow the trail up the canyon, eventually taking a left at an obvious split at 1.5 miles_—_you’ll know you’ve gone the correct way when you see a rock with "Squaw Peak Trail" carved into its face. 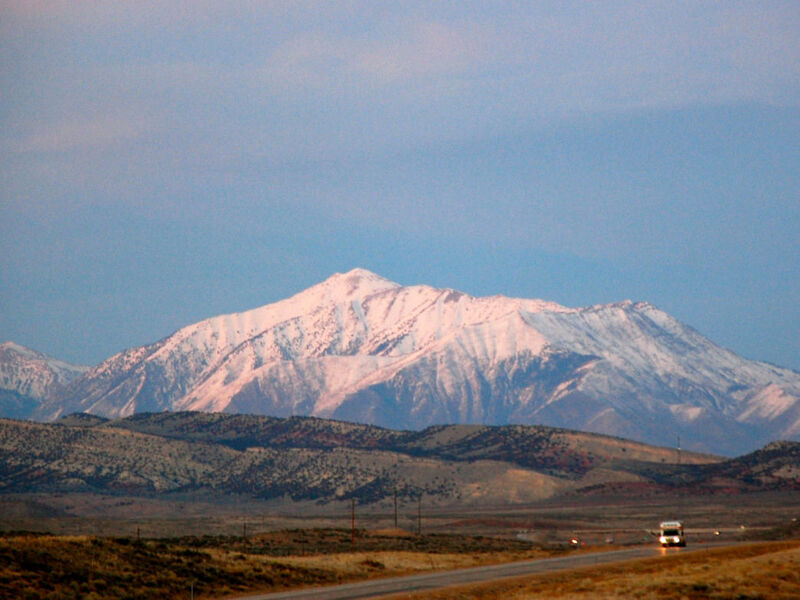 Massive Mount Nebo is the highest peak in the Wasatch Range, standing 11,933 feet above sea level and thousands of feet higher than the topography below. The trail itself gains about 3,400 feet in elevation. Nebo is covered in snow from October often into July, but during the summer, it’s a manageable day hike. Follow unpaved Mona Pole Road to the trailhead, then take the trail (it parallels an old cattle fence) along the bench to the north of the peak. The trail follows this contour to the lower slopes of the peak, and then the challenge begins in earnest, switchbacking its way up to 10,640-foot North Peak, where you’ll get your first view of Mount Nebo. Cross the saddle, then take in the incredible Wasatch views. 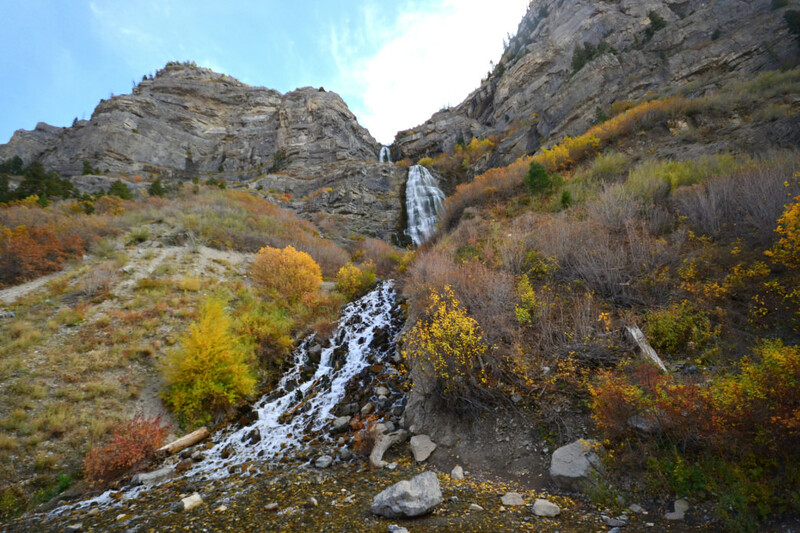 At 607 feet, Bridal Veil Falls is one of the most stunning destinations in the Utah Valley. The short, paved trail meanders alongside the Provo River from Bridal Veil Falls Park, where you’ll find picnic tables, barbecue grills, and ample parking to accommodate hikers. From the base of the falls, there’s also an unpaved trail to get adventurous hikers up close and personal with Bridal Veil; use caution and avoid slippery rocks on the way back down. The trail is open year-round, though accessibility may be limited in the winter months (and huge avalanches, like the one that destroyed the old Bridal Veil Falls Tram in 1996, are fairly common). Originally written for Utah Office of Tourism.